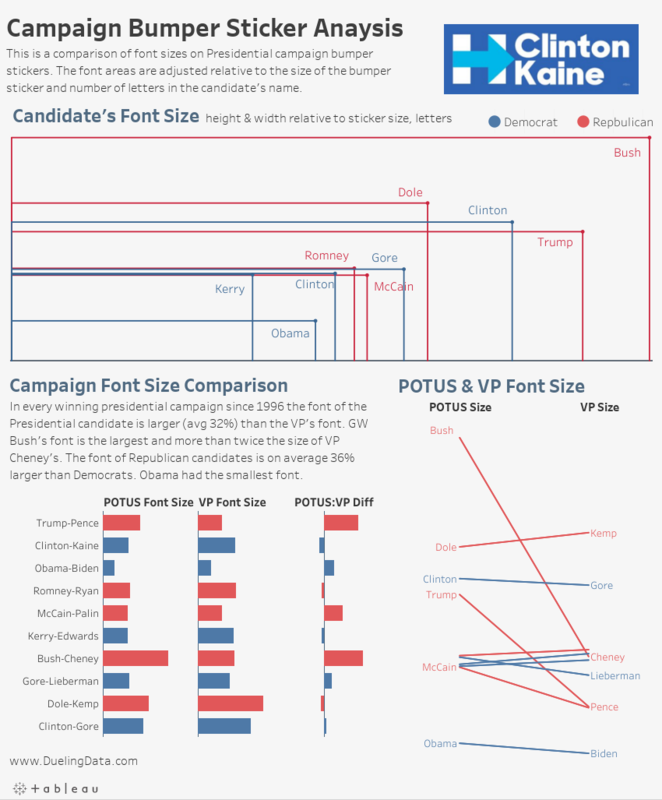 This analysis compares Presidential bumper sticker font sizes by candidates since 1996. What do bumper stickers say about a candidate, their party or their chance of success? Enjoy?